PHILADELPHIA -- The mother of an 11-month-old who died after ingesting heroin is facing murder charges, authorities announced during a press conference Friday. The Delaware County Medical Examiner's Office determined Tuesday that Niccolo Varner died from ingesting heroin on July 15. Paramedics were called to his Lincoln Avenue home and he was rushed to Fitzgerald Mercy Hospital, but police say the baby had died long before ever being taken to the hospital. The boy's mother, Christine Rivero, is now charged with third-degree murder, criminal homicide, reckless endangerment of a child and aggravated assault in connection with her son's death, Delaware County District Attorney Jack Whelan said at Friday's press conference. Authorities said Friday that Rivero put Niccolo in a tub with his 5-year-old brother and left the bathroom to go outside and do heroin with her friends. During that time, police said, Niccolo ingested the heroin. 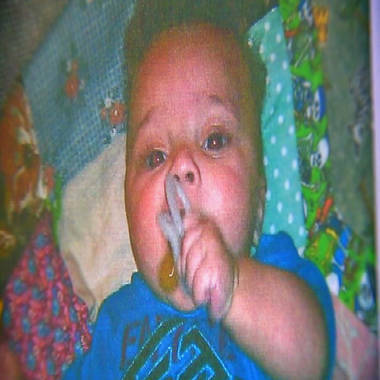 Niccolo Varner was 11 months old when he died on July 15. "We don't know how the child received such a large amount of heroin in the child's system. We can only conclude that it was either given to the child or the child consumed it on his own by somehow accessing heroin on the premises," Whelan said. "We don't have that information at this point in time ... We can not determine if the child was given heroin by his mother." Police say that the baby fell and hit his head while in the tub and they were surprised to learn from the toxicology report that he had died from heroin ingestion and not drowning. The children's father, Victor Varner, was asleep in the house at the time of the incident. After extensive interviews, police determined that Victor is not to blame for his son's death. He was granted sole custody of the couple's 5-year-old son. Rivero's bail is set at $1 million.